The Georgia-Clemson prediction for Week 1 from our friends at Bet Online had the Bulldogs pulling it off against a solid Tigers team. Florida football betting odds for the Gators had this with a total regular season wins of OVER/UNDER 8.5. The OVER was priced at -130 and the UNDER +110. Notre Dame Football betting odds for 2013 were still available at Bookmaker with the OVER/UNDER set at 8. The OVER was priced at -155, the UNDER at +135. Gambling911.com won with its pick on the Orioles-Red Sox UNDER last night and hope to continue this trend Friday. Texas Tech vs. SMU free pick from DonBest.com has the Red Raiders as a -4 to -5.5 favorite depending on the book. You can watch the below video to get that play. Here are a few quick trends to get your ready for this Friday night game. Last time these two schools met in 2010, Texas Tech won by 8 points. Gambling911.com has your 2013 Woodward Stakes betting odds and a pick from Trixie over at LadyandtheTrack.com. Tony George of TonyGeorgeSports.com breaks down the BIG ONE this Weekend, Georgia and Clemson. A marquee matchup and it is a free play. Georgia brings in a high powered offense into this one, and Taj Boyd for the Tigers is no slouch either. Gambling911.com has your free Baseball picks for August 29. Gambling911.com has your free Baseball picks for August 28 after going 1-1 Tuesday night. Don Best has your PAC-12 predictions for 2013. You can become a Don Best Advantage member and receive wise guy plays on daily games here. Brian Blessing and Kenny White break down the PAC-12. Gambling911.com has some good Florida Gators Predictions for 2013. Florida can win the Eastern Division at +250 odds, which is really good value under the circumstances. However, South Carolina and Georgia were both EVEN-odds favorites to win. Texas football betting odds for 2013 had the Longhorns as the +150 favorite to win the Big 12. But make no mistake about it, this is one tough conference with both Oklahoma and Oklahoma State listed at 2/1 odds of winning the Big 12. All odds are courtesy of AceSportsbook.com, where you can claim hundreds of dollars in FREE cash bonus money upon joining here. Gambling911.com has your free Baseball picks for Tuesday August 27. Milwaukee/Pittsburgh UNDER 7 – Would be great if we could get the 7.5 or 8 but there is good reason to like the UNDER here. Gambling911.com went 1-1 with its free Baseball picks yesterday. Today we will be on the New York Yankees at -104 in Toronto. The Yankees have rolled over the Toronto Blue Jays of late, going 12-1 in their last 13 games. The Michigan State Football betting odds for winning the 2013 Big 10 Championship were set at +550. This is a little hard to fathom happening in a conference that includes Ohio State, Nebraska and Michigan. While the Buckeyes look slightly more invincible, Michigan and Nebraska do not. Nebraska Cornhuskers football betting odds for winning the Big 10 Championship at Sportsbook.com were 5-1. Nebraska is typically a heavily wagered on team each year despite their likelihood of winning. Gambling911.com has your Boise State Football betting and prediction for 2013. Their odds are +125 to win the Mountain West at AceSportsbook.com with Fresno State providing the next closest competition at 2/1 odds. Boise State is a great candidate to win all but one game on the regular season, that would be against Fresno State at home. Gambling911.com is experiencing its worst stretch of the season thus far with three straight losses that began Friday with a 0-1 showing and culminated Saturday with a 0-2 record, losing with the Brewers/Reds total and a San Francisco defeat of Pittsburgh. The Rice vs. Texas A&M betting line had the Aggies as a -26.5 favorite for Week 1of the 2013 College Football season. All odds courtesy of CarbonSports.com where you can get up to $250 in FREE CASH when you open an online betting account here today. Gambling911.com has your FREE Baseball picks for August 4. Sadly, we fell for that sucker bet on the OVER 6.5 with Pittsburgh and San Francisco last night. Let’s look for some wins today. Michigan Football betting had the Wolverines at +450 odds to win the 2013 Big 10 and 50/1 odds to win the 2014 BCS Championship. Ohio State is expected to own the Big 10 in 2013. Ohio State Football betting had the Buckeyes at near EVEN odds to win the 2013 Big 10 and 5/1 odds to win the 2014 BCS Championship. After Alabama, Ohio State has the second shortest odds of winning the Championship. The Georgia vs. Clemson betting line for Week 1 of the 2013 College Football season had the Tigers as a +2 in this highly anticipated game. We also have a few predictions for the outcome of this game below. Gambling911.com has your FREE Baseball pick for August 23 after a nice win with Pittsburgh last night. That game’s total opened at 6.5 and moved to 7. The Pirates alone scored more points than the full total. Louisville football fans and bettors alike will be thrilled to know that your team’s odds of winning the American Athletic Conference in 2013 were set at -120. Nearly 85 percent of those betting on the American Athletic Conference futures were backing Louisville to win. The Carolina Panthers Super Bowl odds for 2014 were set at 50/1. Their odds of winning the NFC South were set at 4/1. Gambling911.com was dealt a setback yesterday with two losses. As such, we can probably say that our nice little run is now over and hope to start a new one. 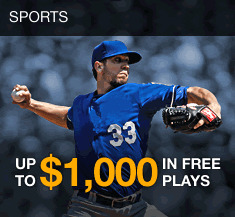 Gambling911.com has your free Baseball picks for Wednesday August 21. LA Dodgers/Miami Marlins OVER 7 – 8 of 10 in this series have gone OVER the current total of 7. The OVER is 9-2-1 in the last 12 meetings in Miami. Gambling911.com has your 2013 Baltimore Ravens season predictions courtesy of Bookmaker, which was offering up to $2500 in FREE CASH to new signups here. Despite losing some key players during the offseason, many experts, as well as the oddsmakers, believe Baltimore will still be a Playoffs contender. Gambling911.com has your Kansas City Chiefs prediction for 2013….okay, actually it is Don Best TV’s own Kenny White that has stated (on video) that the Chiefs are going to the Super Bowl. Well, we won’t go that far, however, there is definitely some value with Kansas City futures in 2013-2014.